This lazy Susan for table is very heavy duty and designed to last. 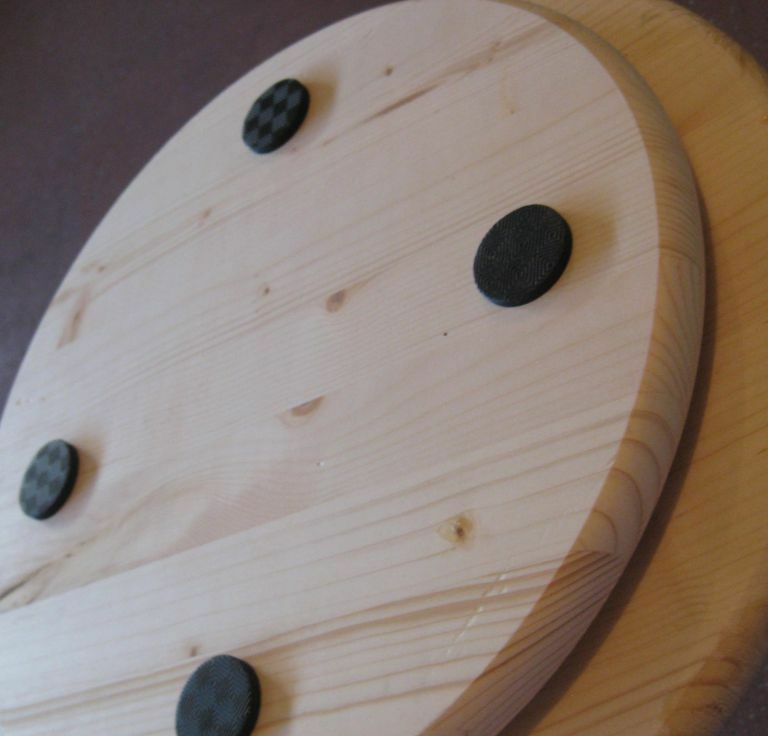 Our table top lazy Susan's are available in three sizes to perfectly fit your table. We offer an optional polyurethane sealer at check out. If you do select the sealer please allow an extra 48 hours for shipping since we need the time to apply at least 2 coats. If you are planning to stain or paint, do not select the sealer. If you like the natural wood look; then the polyurethane sealer will protect it well. 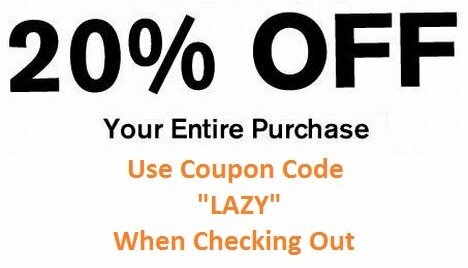 Use the lazy Susan coupon code “LAZY” (ALL CAPS) to receive 20% off your entire purchase! Enter the code at check out. 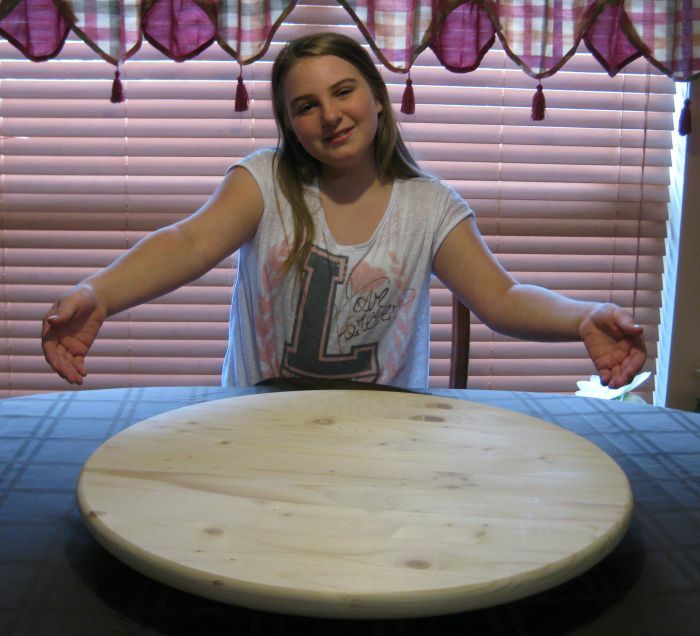 Unlike many lazy Susan products available; we use 5/4 inch thick wood for both the top and bottom making this one of the strongest wood lazy Susan products available. Our 18 inch lazy Susan for table is perfect for your 24 inch counter top or 36 inch table top. The 24 inch lazy Susan is perfect for your 48" to 60" table top. This will leave 12" to 18" around for plates, drinks, and wares. 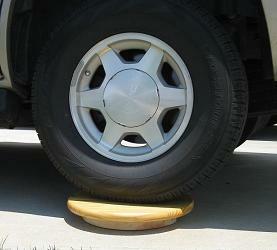 Yes, our lazy Susan bearing can hold up to 1,000 pounds so we tried it out by putting our GMC Yukon on one! You may not have anything in the kitchen that heavy, but you will never worry about over working this one. It held up great and we still have it in use today! 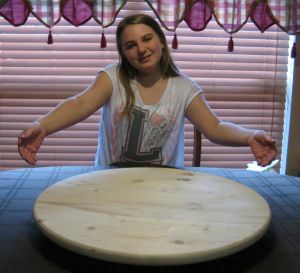 The 36 inch lazy Susan is perfect for your 60 inch or larger table top. This will leave you 12" or more for plates, glasses, and elbows! 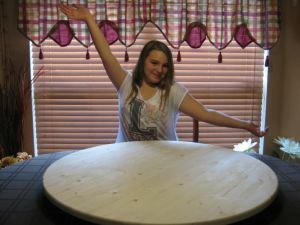 With the large lazy Susan you can present several dishes so everyone can share around the table. 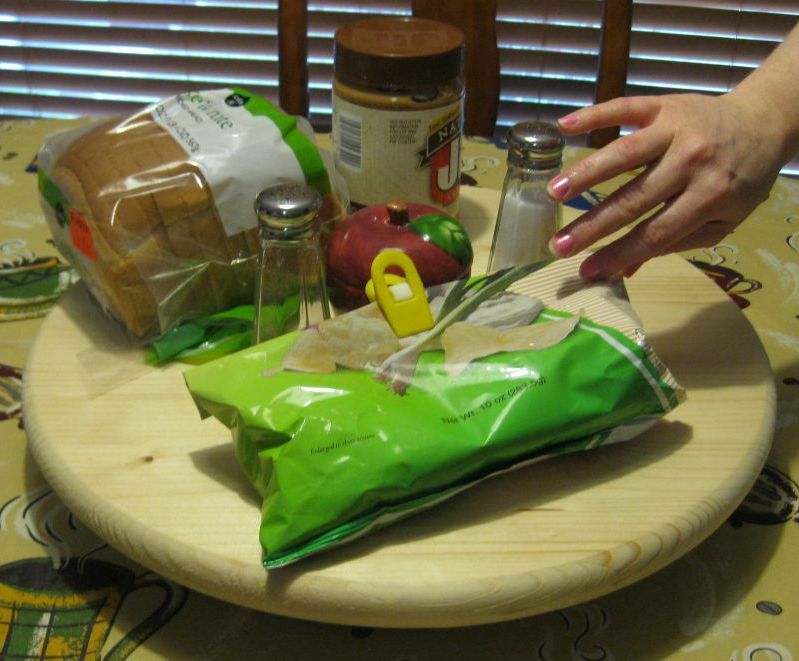 Our lazy Susan feet are non-slip rubber grips so you don’t have to worry about sliding when turning. Use your lazy Susan table centerpiece to display a welcome and inviting dining table. Our lazy Susan on table holds spices, bread, seasonal items, fruits, cakes, and is a great conversation piece! to receive a 20% discount! 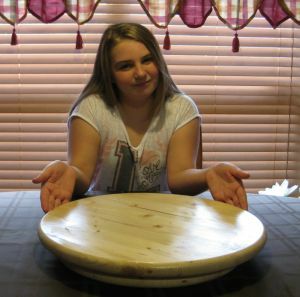 View a variety of stained wood lazy Susan turntables here! Ask about our lazy Susan for table here!